I am always happy to accompany Ma and Daddy-dog on a trip out for pub snacks. Recently however, I found that I didn't need to go any further than to my own front door for some great pub food! SCORE!! I wrestled it away from the postman! 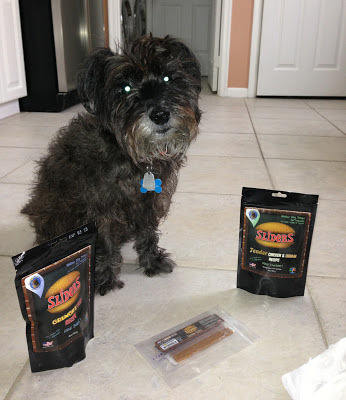 The wonderful people at Clear Conscience Pet sent me their 'Sliders' dog treats for a taste test. 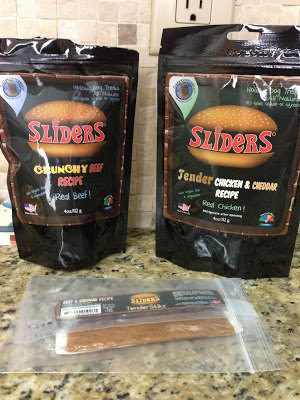 I received the Crunchy Beef Sliders recipe and Tender Chicken and Cheddar Sliders recipe as well as a Beef & Cheddar Tender Stikz and a Chicken & Cheddar Tender Stikz. 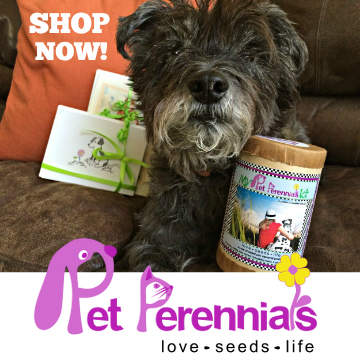 What's really great about these treats, other than their fantastic taste (which we will get to shortly), is that they are holistic and all-natural; they contain no grain, gluten or glycerin. In addition, they are made with real meat, ground flaxseed and veggies (specifically carrot, tomato and spinach). 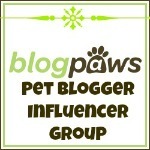 Did you know that flaxseed is a good source of Omega 3 & 6 fatty acids which are considered beneficial for coat, skin and the immune system? These Sliders dog treats are both healthy and tasty! Oh My Dog...they look delicious! The Crunchy Beef Sliders recipe - they are round like a hamburger patty - is made from USDA Inspected Beef, Beef Heart and Beef Liver which are natural muscle building proteins. They are super crunchy and delicious!! So much so that I steal them from Ma's clutches and run away to eat them in the privacy of my crate (which is why Ma could not get one photo of me eating them - BOL)! The Tender Chicken and Cheddar Sliders recipe is made from Chicken and real Cheddar Cheese. They are nice and tender and are delicious as well!! Hand it over...I am starting to drool! And the Tender Stikz....Oh Dawg...they are just like having beef jerky with Daddy-dog! 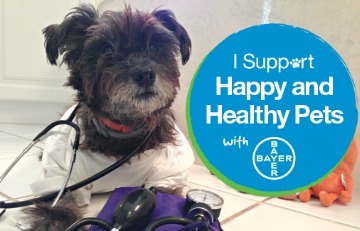 Clear Conscience Pet is an award-winning, family-owned pet nutrition company right here in the USA that is dedicated to superior nutrition, food safety and responsible sourcing for everything they make. 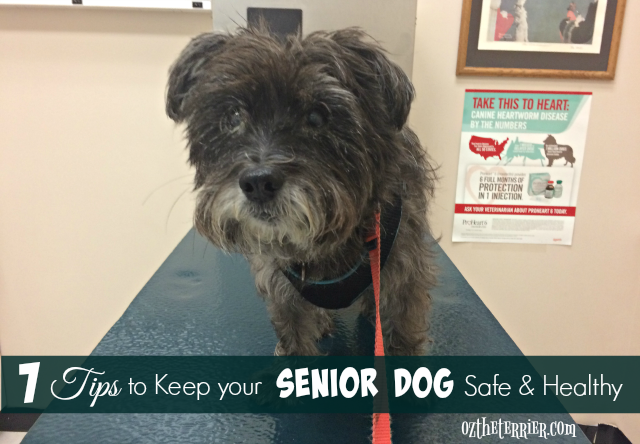 Their treats do NOT contain any artificial preservatives, flavors or colors. 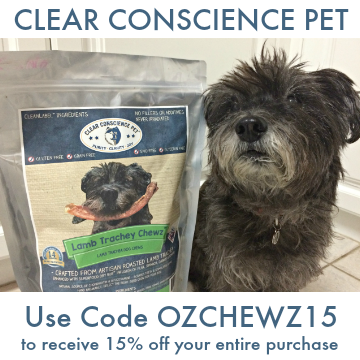 Thank you Clear Conscience Pet for allowing me to taste test these pawesome dog treats! 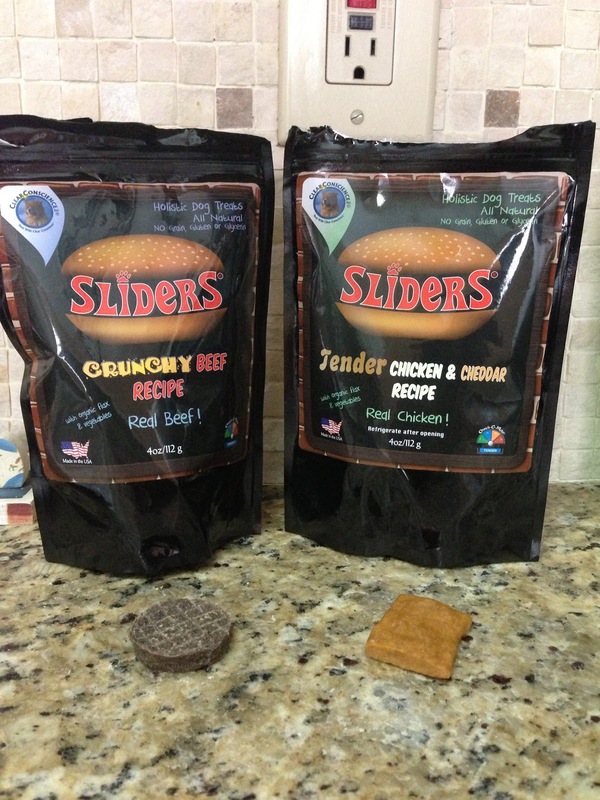 I give the Sliders and the Tender Stikz "high paws"
for being safe, healthy and delicious! Oz they sound wonderful. Glad you enjoyed. Have a terrific Tuesday. Those sound wonderful, bet Dina would love them! 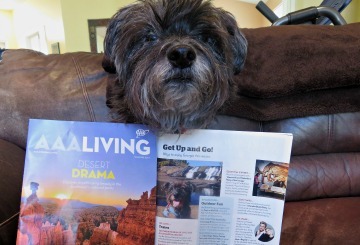 Thanks for the update on more good food Oz! Sounds Tasty! 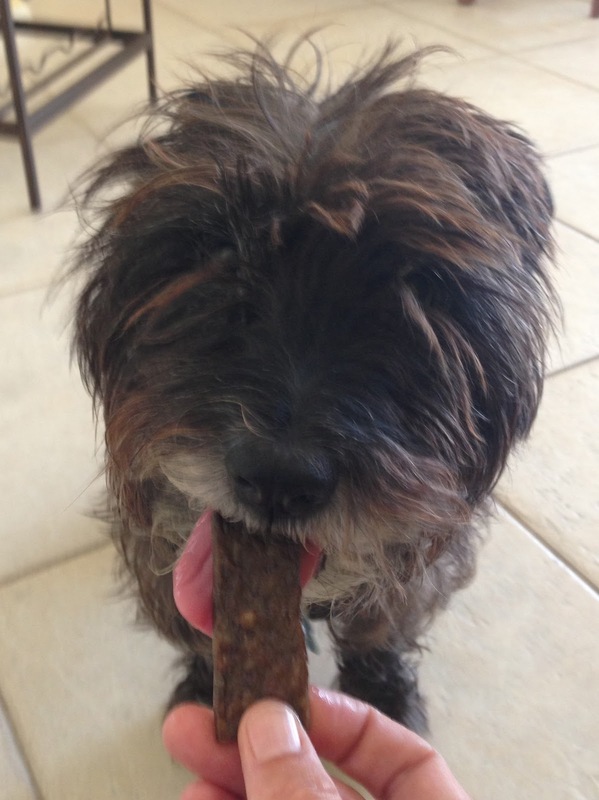 You are a lucky Dog to get to taste test treats! 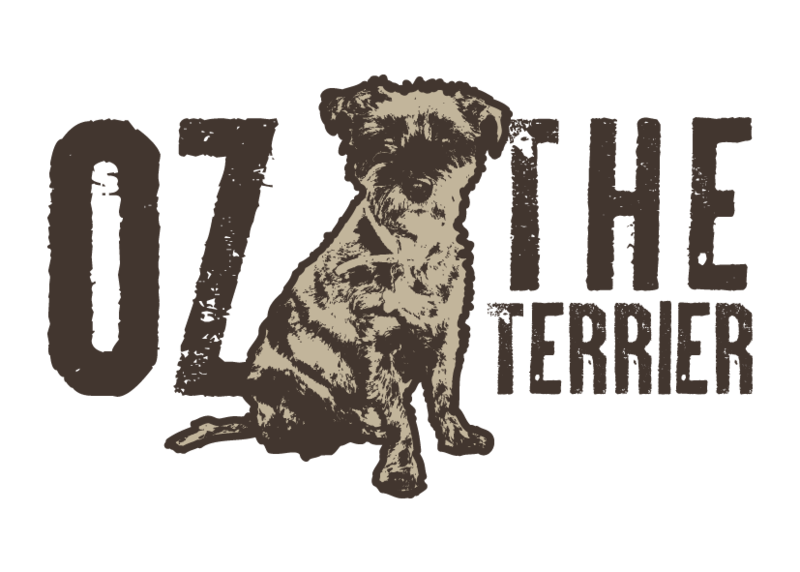 Thanks for the great review, Oz! Oh Man!! Those look all kinds of tasty Oz!!! OMD! Great review. They sound tasty. 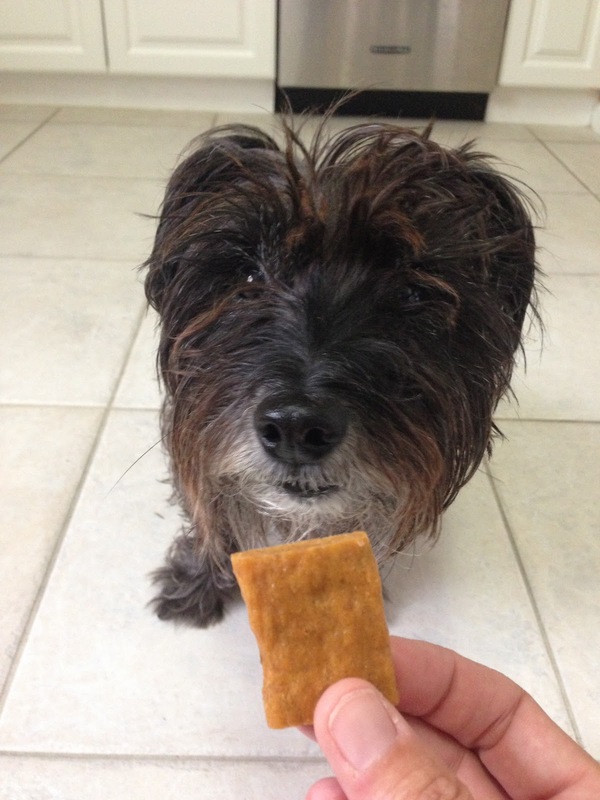 Those look tasty, you are one lucky pooch to get to try them. Have a great day. Great post. Those Sliders look yummy.... Have a great day. 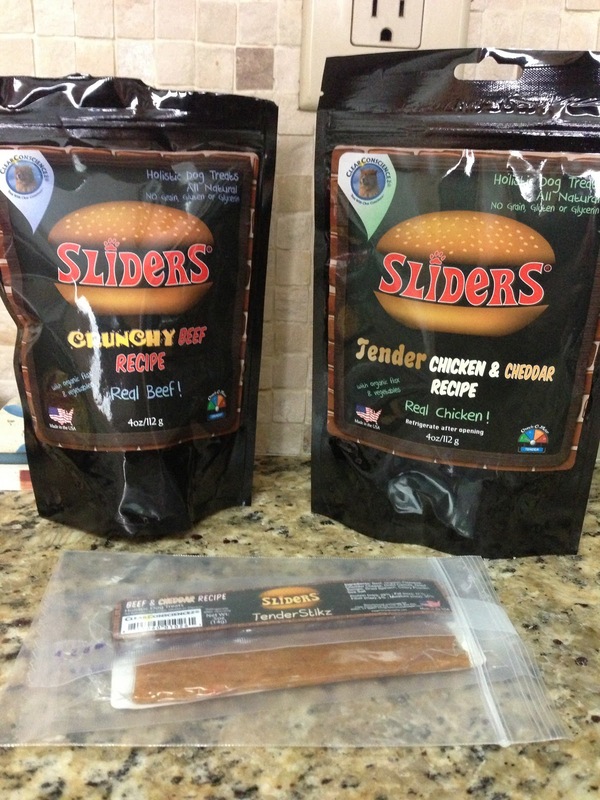 Ring Ding Oz you home, guess your eating more slid grub, with all that flaxseed no wonder they are called sliders. Why they just be slidding out the other end, but you will have great furs. I love that more and more companies are going the grain-free route and making their treats in the USA. Believe it or not that is the first thing I look for. 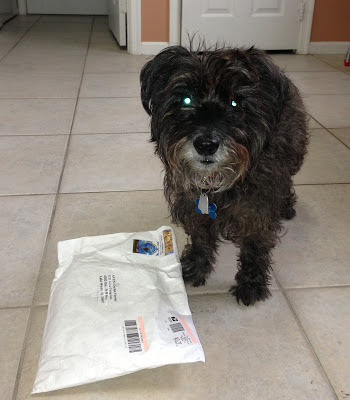 I ordered some of the tender beef & cheese ones from Doggyloot because you said they were so delicious! 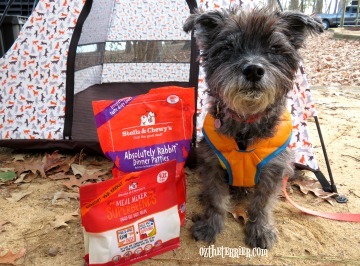 Those sound great.camping food for dogs .